Hello! 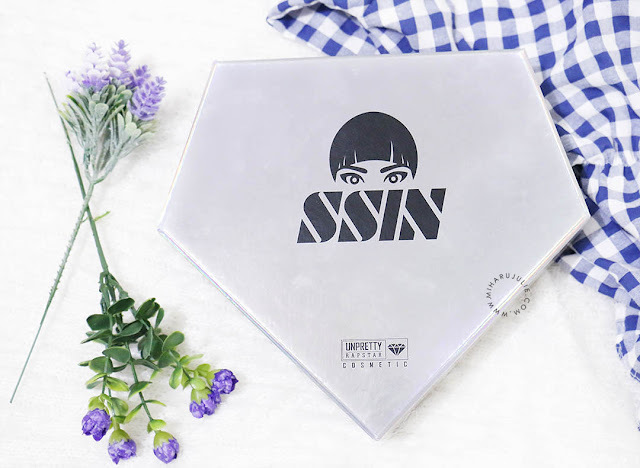 Today, I'm super excited to share with you this Unpretty Rapstar cosmetics x SSIN B.H Box Review. If you follow Korean shows, then you would know the show Unpretty Rapstar, a popular female rapper music competition program. 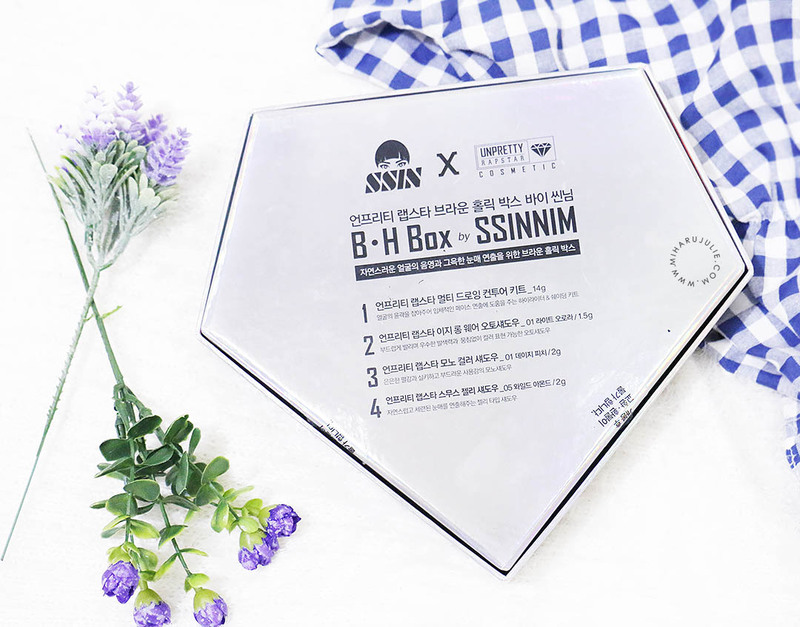 Korean beauty creator, Ssin nim (씬님), teamed up with UNPRETTY RAPSTAR to create a line of gorgeous and easy-to-use products for Korean beauty enthusiasts. This fabulous kit includes SSIN's highly sought-after multi drawing contouring kit (3 colors: pearl highlighter, medium, medium dark) that perfectly sculpts and defines your face, while adding touches of highlighted areas. Blend the colors to create realistic shadows, recede specific facial features, and amplify dimension. 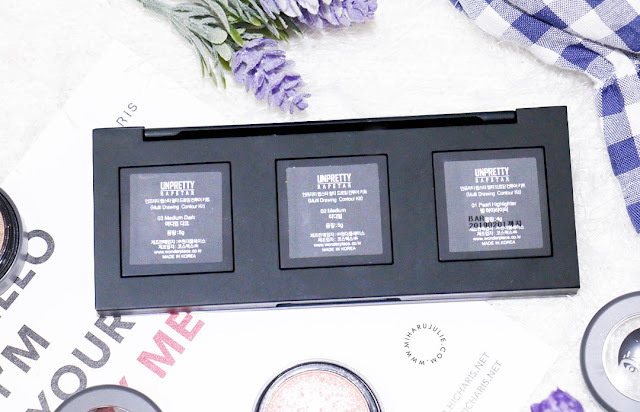 Main item I really love it was the contour kit. 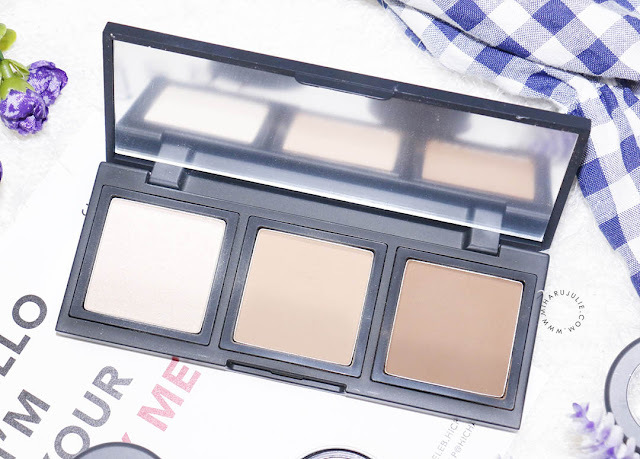 The contour kit works decently well for fair skin types. The shades is so soft and natural! The shadows have a nice pigmentation and the pallet is the perfect size for travel. It closes nice and tight so you can easily and safely keep it in your bag. The mono color shadows come in 10 shades as well and mine is SSIN Monocolor Shadow 01 Daisy Peach an orange pink color that is great for daily makeup look. 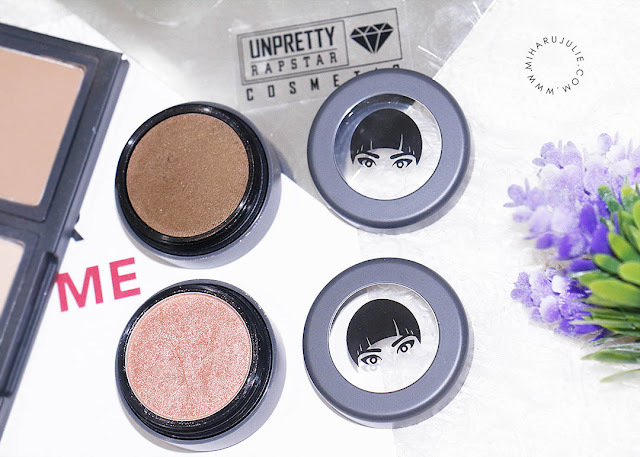 A glitter type product that reflects light and brightens the area around the eyes. 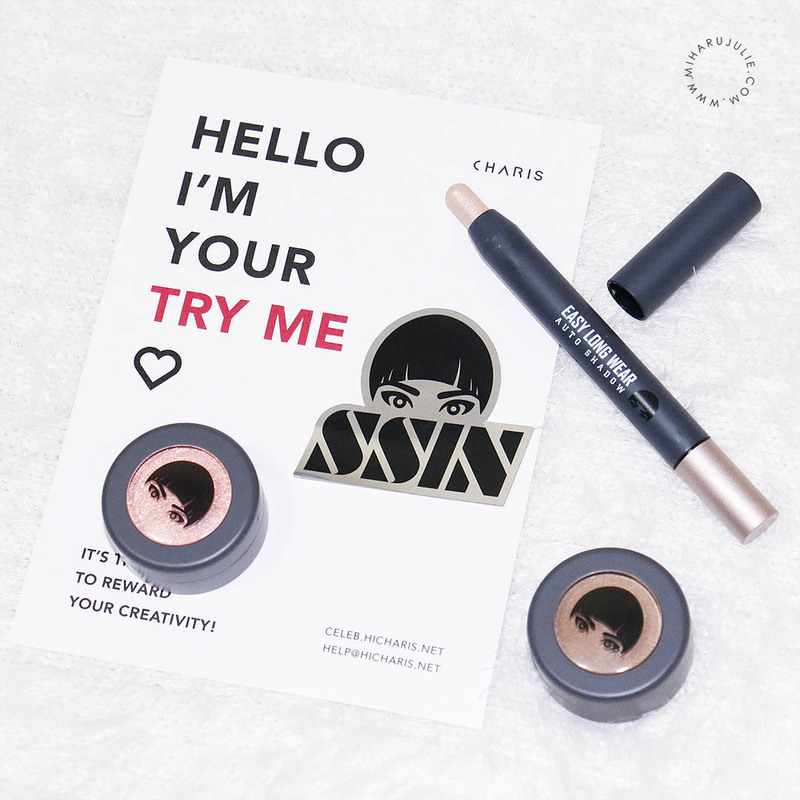 SSIN Smooth Jelly Shadow 05 Wild Almond, a monotone dark brown color that helps create depth and sophistications for the eyes. 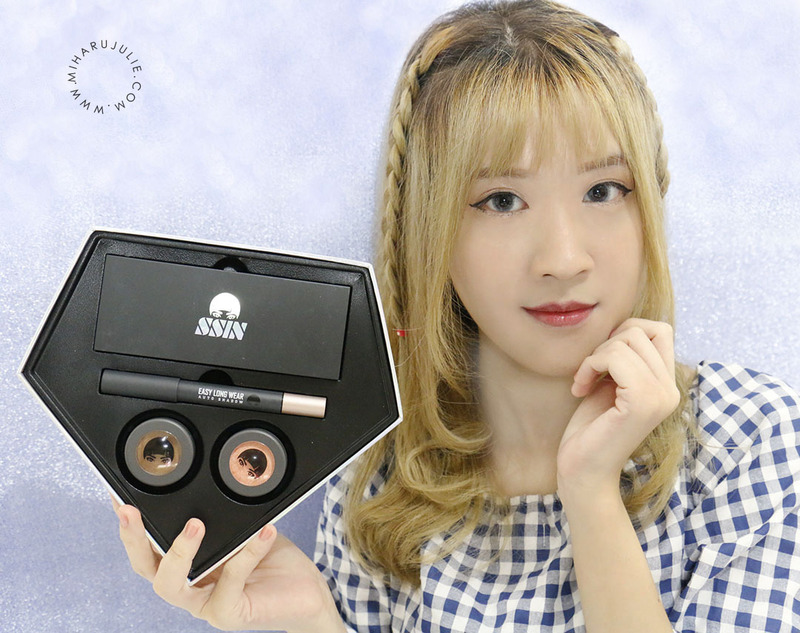 The easy long wear auto shadow come in 10 shades and mine is SSIN Smooth Jelly Shadow 01 Light Aurora, a pearl color that reflects a soft pink beams. 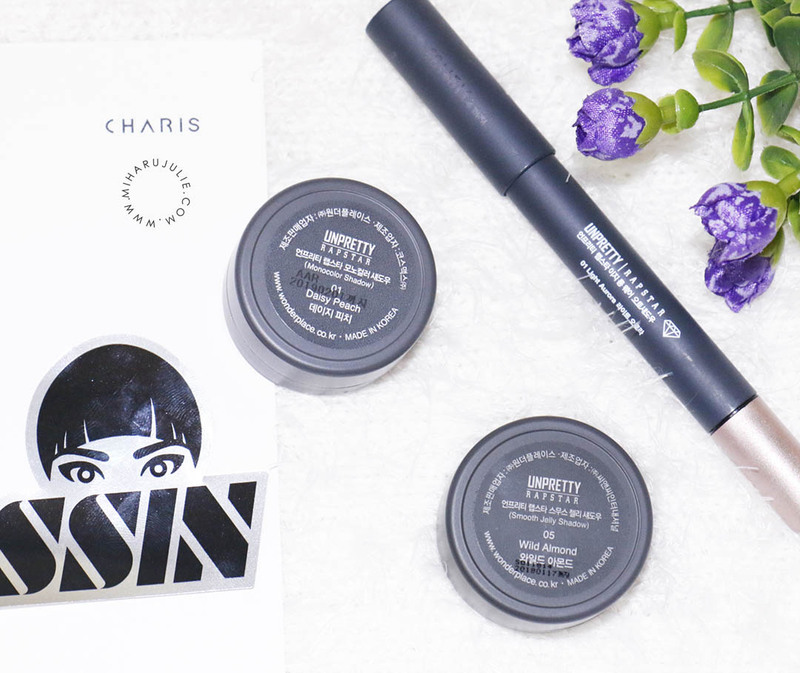 Use on the front corners of and the puffs under your eyes. In the back, there is a product description. 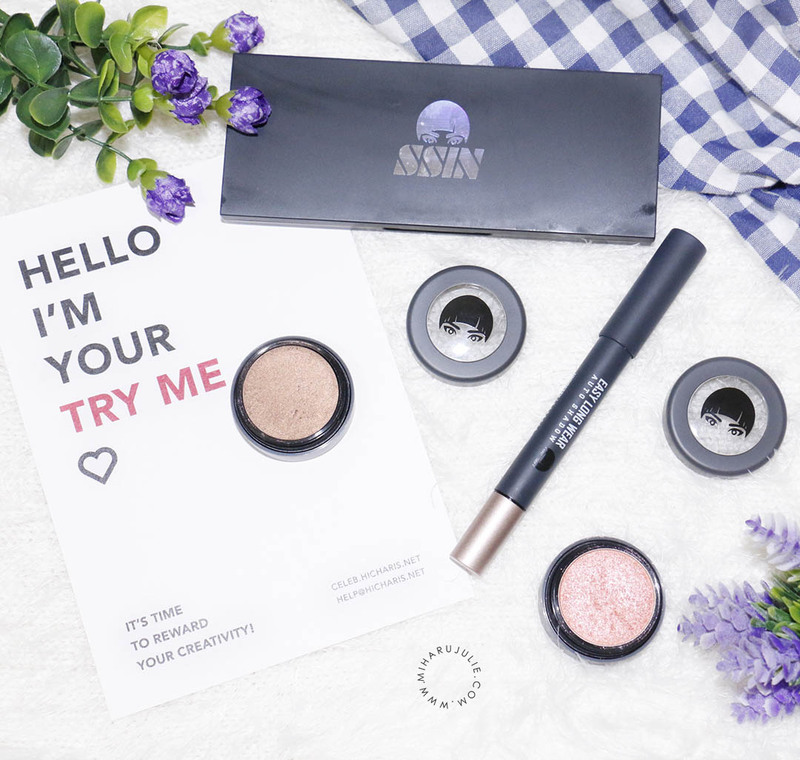 The SSIN-nim eyeshadow are all really easy to apply and blend. 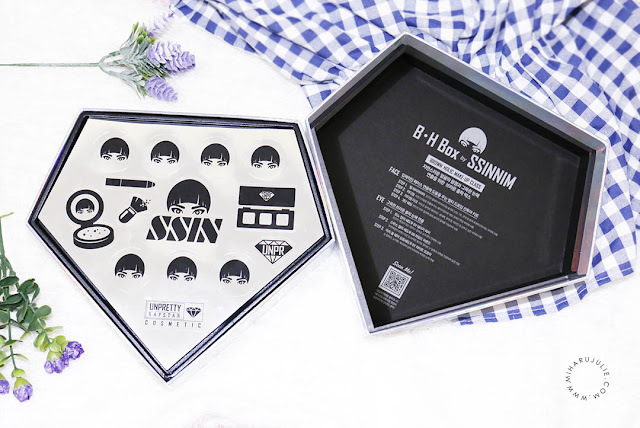 Unpretty Rapstar cosmetics x Ssinnim B.H Box Review, swatches, demo. This box looks really cool! Thanks for sharing! Great product. I'm loving it. Enjoy! I love your cute top! 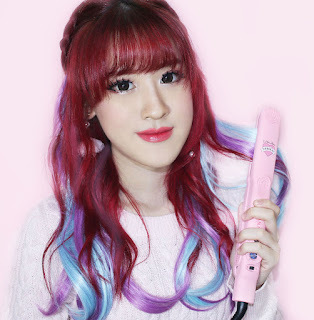 yang 3 warna dalam 1 pcs itu apa ka? bedak ?